Rugged durability and handsome design guarantee our Huntington table to enhance any sight area. 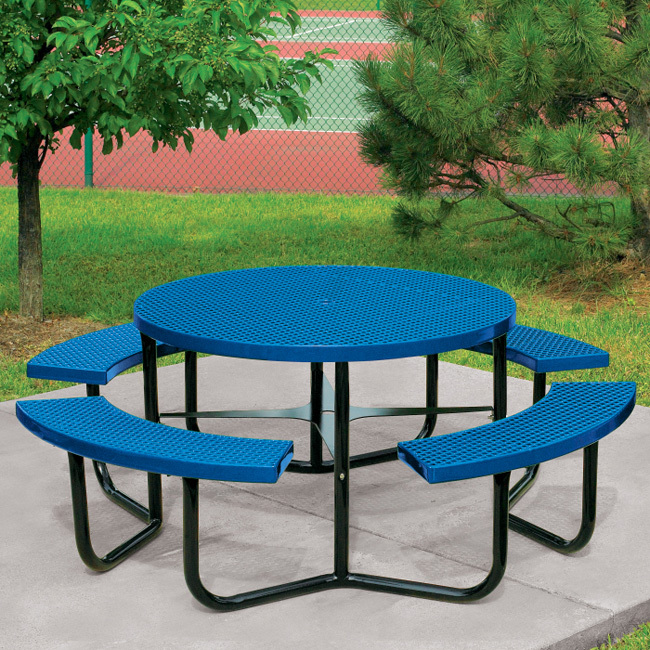 It’s 46″diameter vinyl coated expanded steel top and benches provide strength and comfort. Top it off with any of our matching umbrellas to create the perfect outdoor setting.